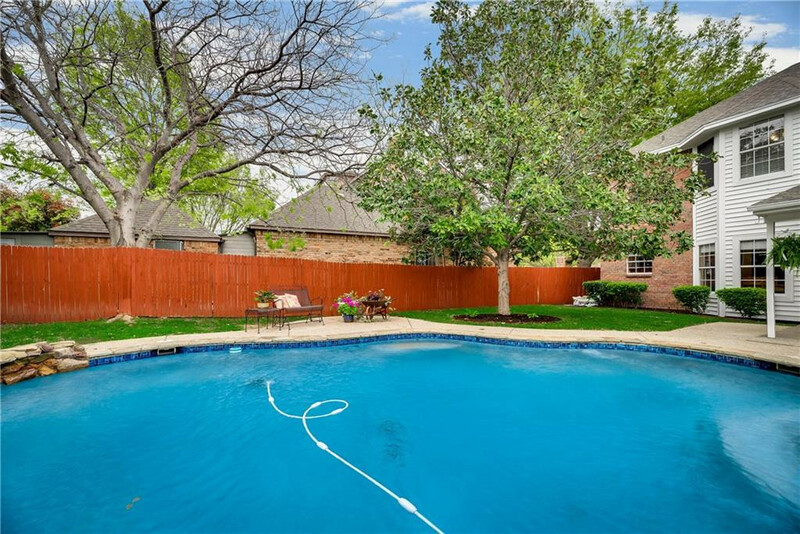 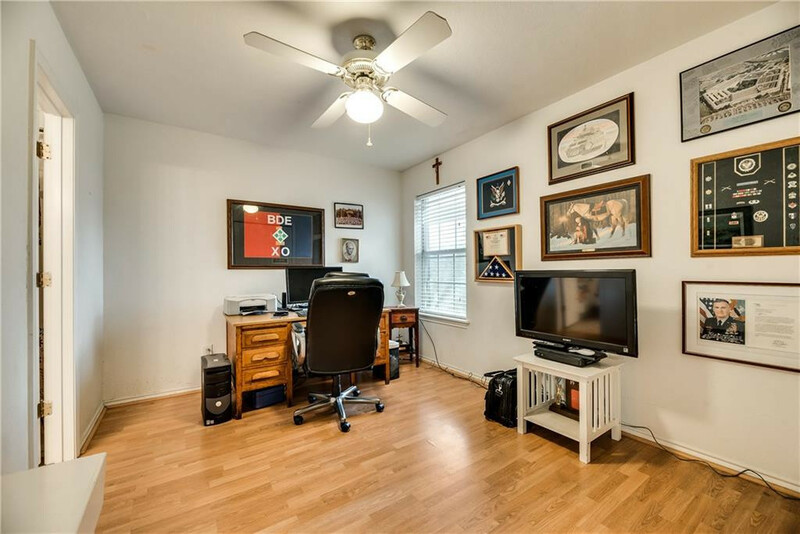 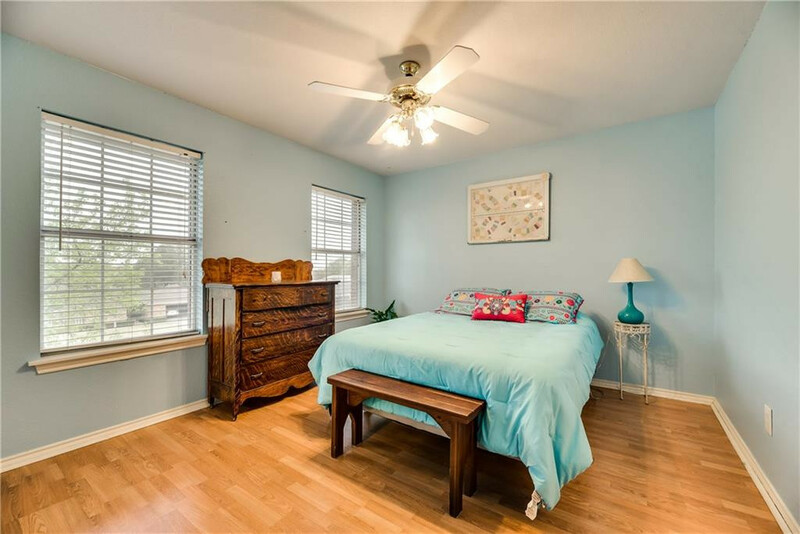 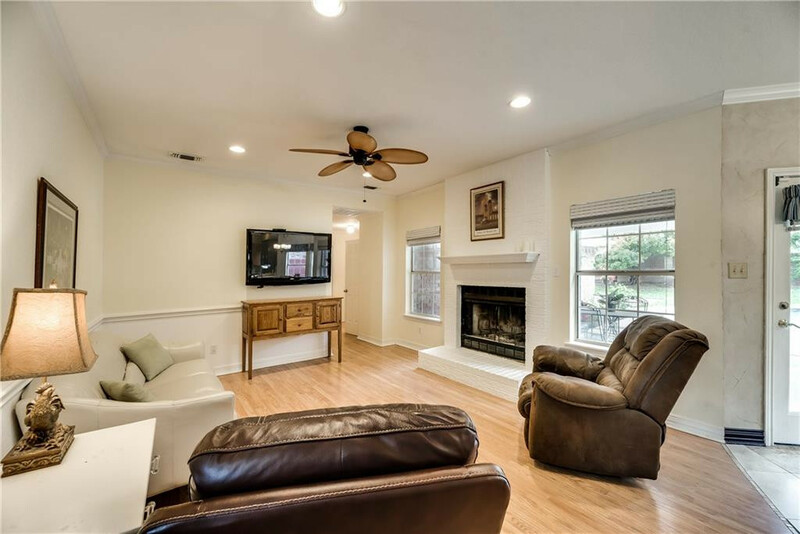 Looking for convenience to lifestyle amenities, ease of commuting and close to D/FW International Airport with a traditional floorplan with maximum functionality and a pool? 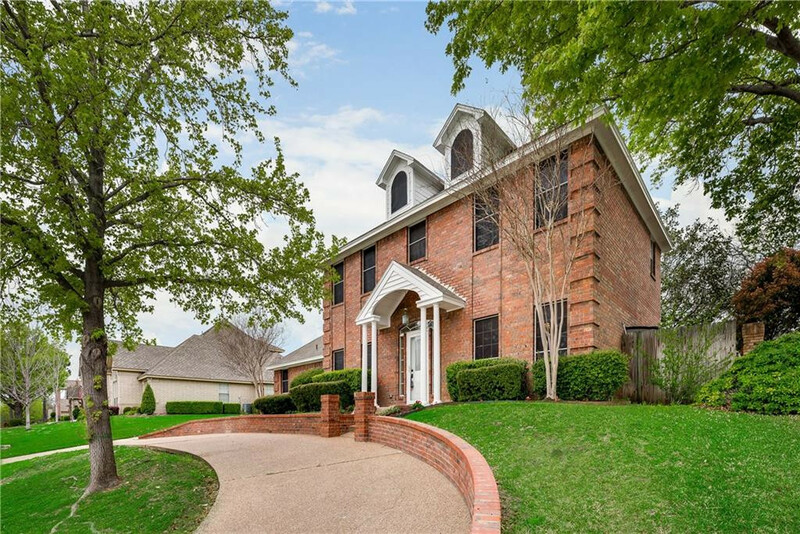 Luckily , 6533 Meadow Lakes Drive in North Richland Hills is for sale! 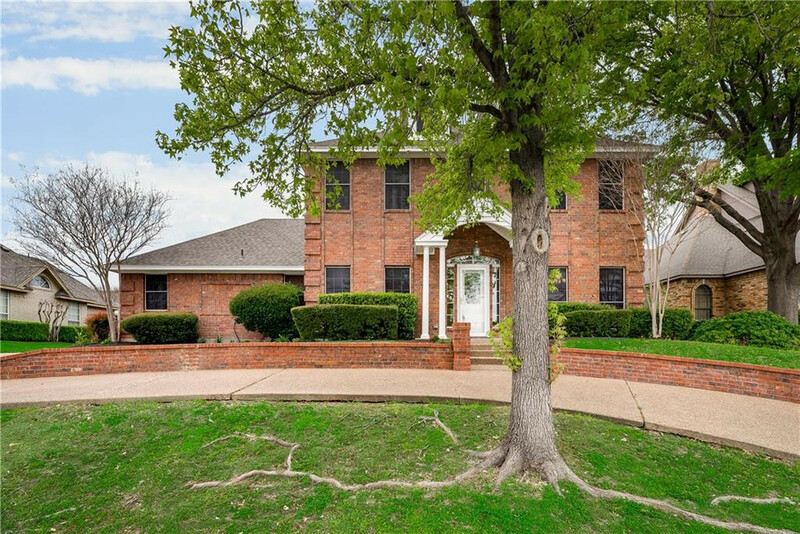 A commanding presence with curb appeal freshly painted exterior and crisp white columns, circular front driveway trimmed in red brick to greet guests offering plenty of parking. 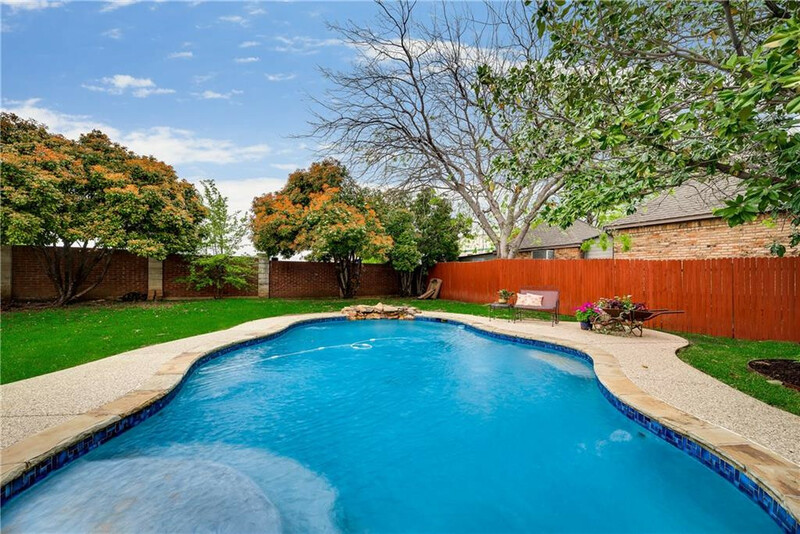 Summer is right around the corner and timing is everything! 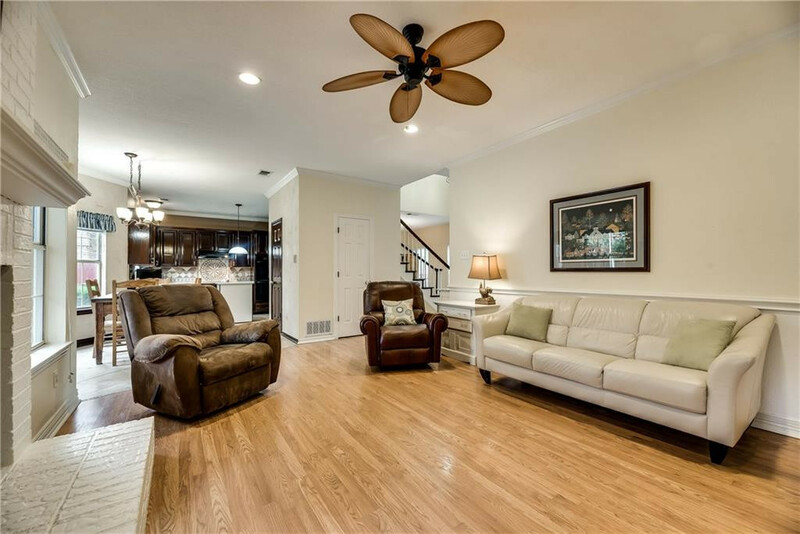 Do you enjoy entertaining, being the house that everyone gathers at or quiet evenings in your private retreat to unwind in solace…either way this is the home the one. 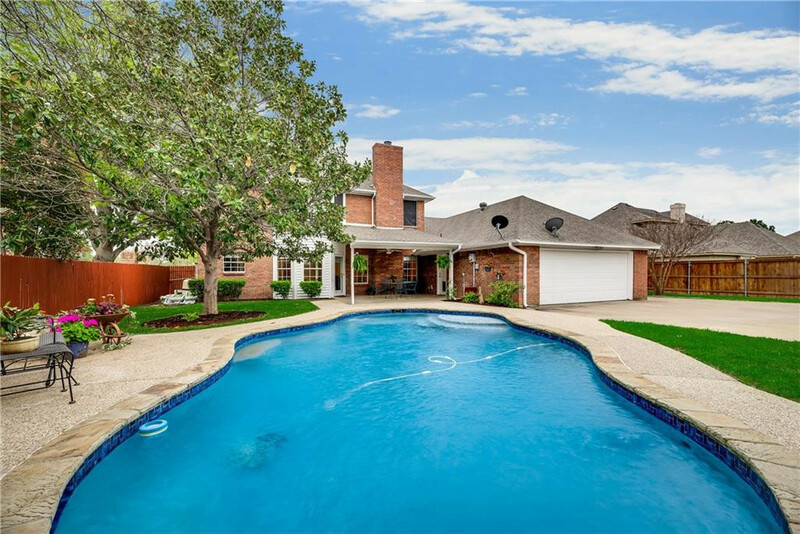 Gorgeous sparking blue swimming pool framed in Flagstone coping, cobalt blue mosaic tile, aggregate decking and rock water feature. 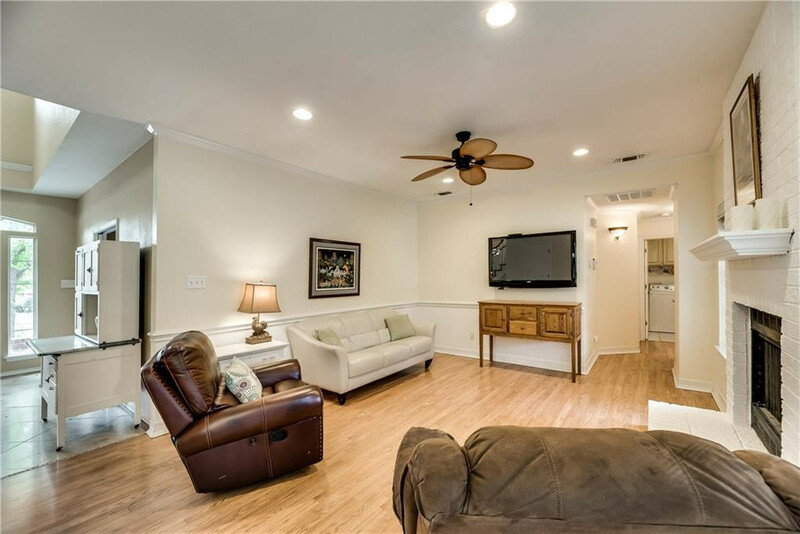 Covered back patio complete with a ceiling fan, fresh sod under the handsome Magnolia tree-an ideal location for a quick nap. 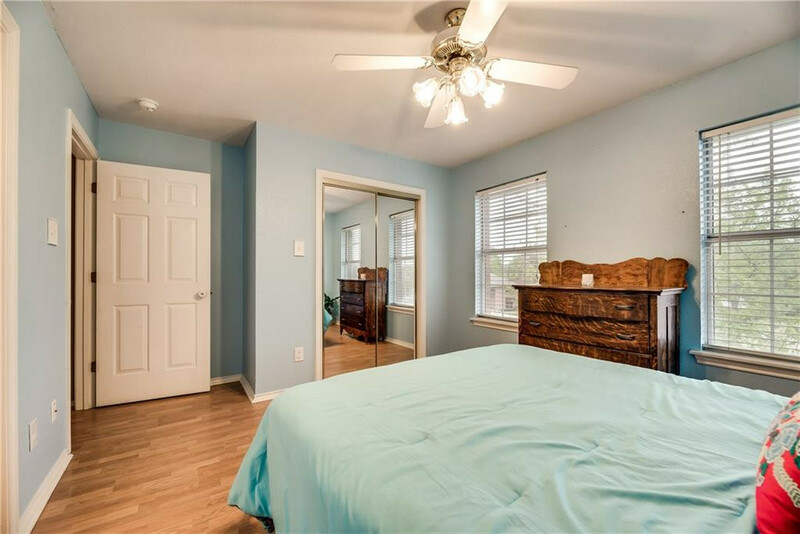 If you like to have options, there are three living areas, one of which is currently being used for a bedroom. 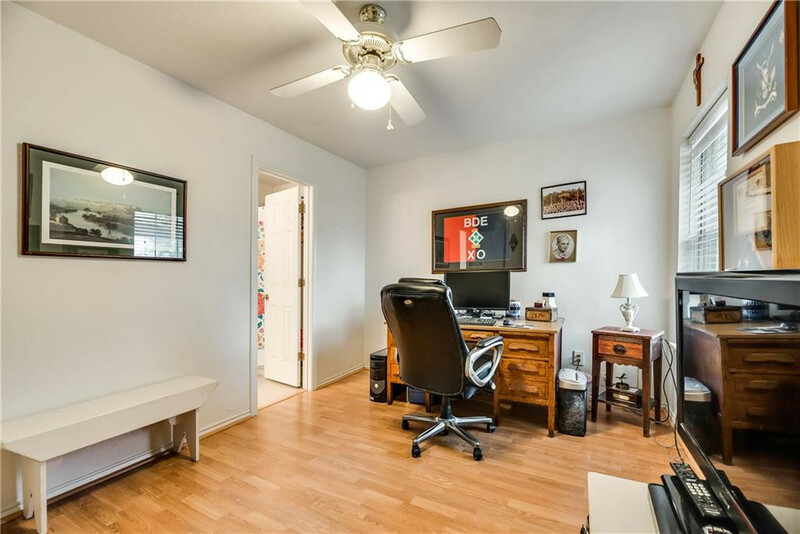 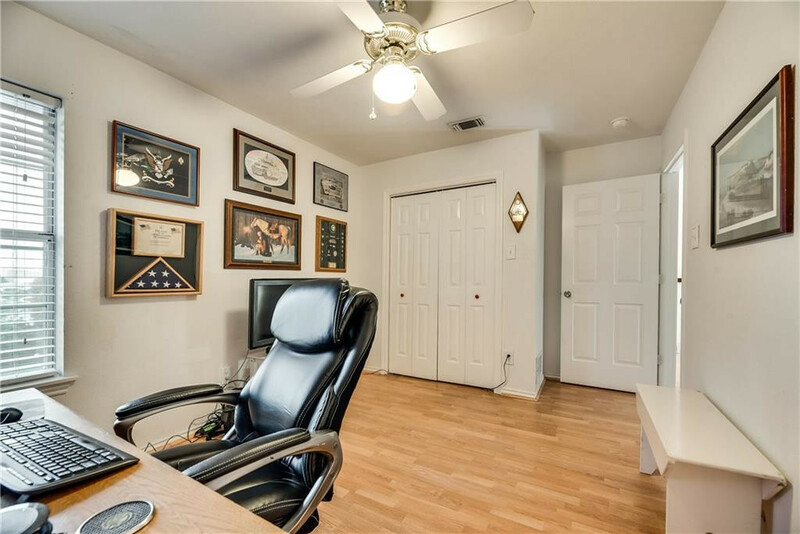 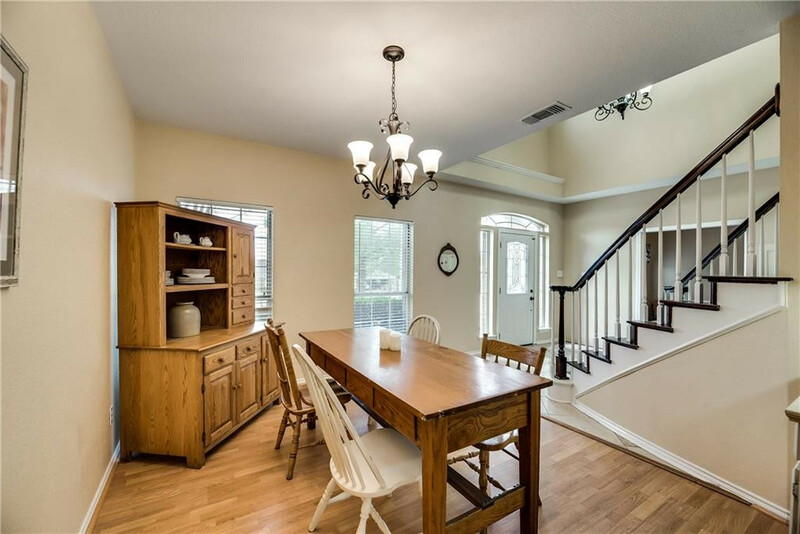 You might select to have a study or back to a formal living area adjacent to the formal dining room. 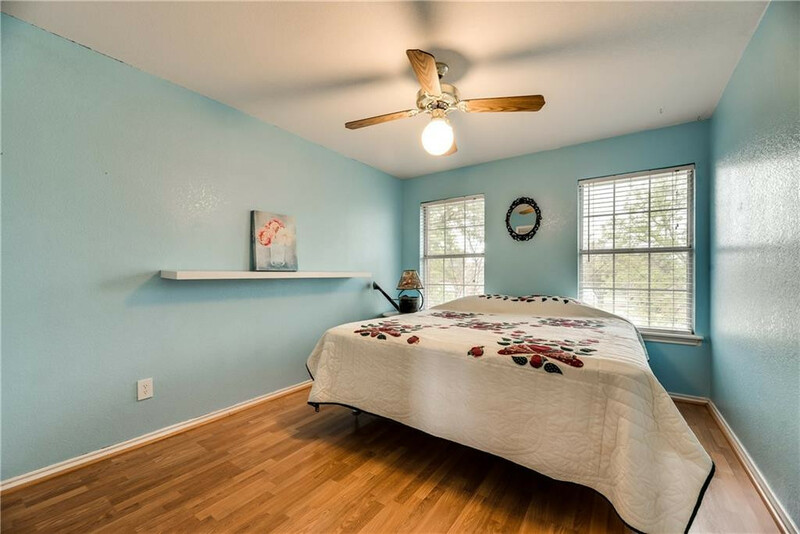 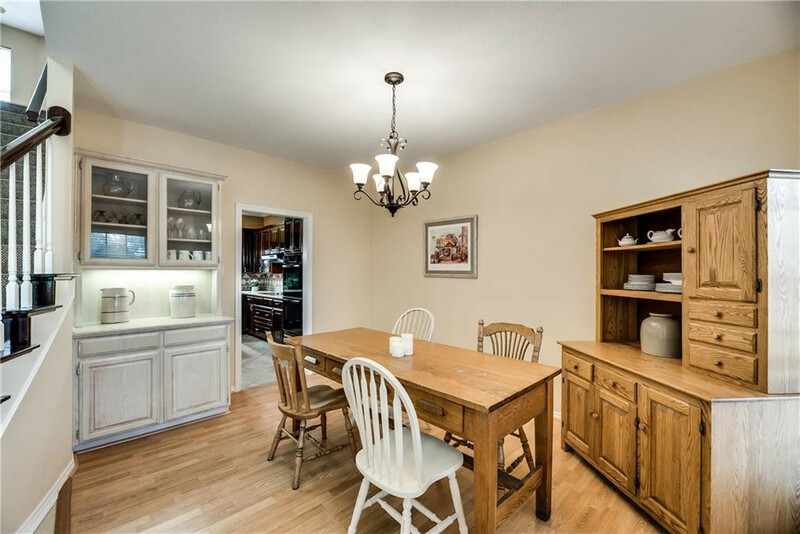 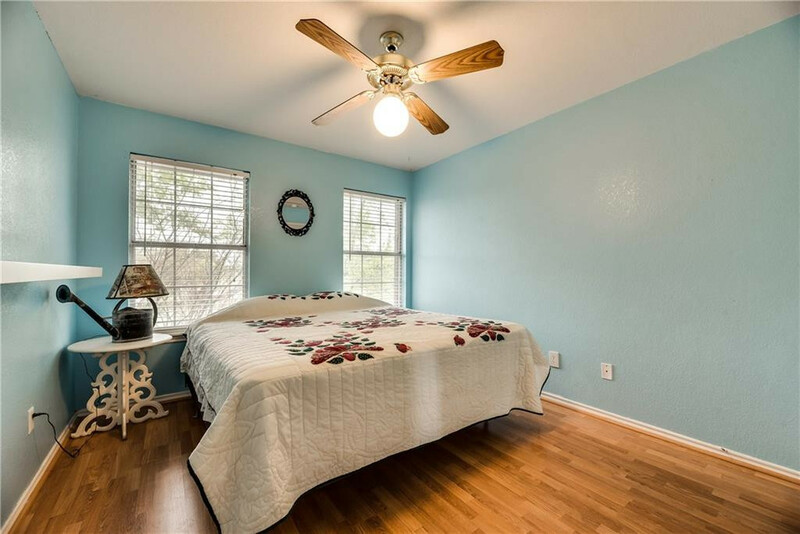 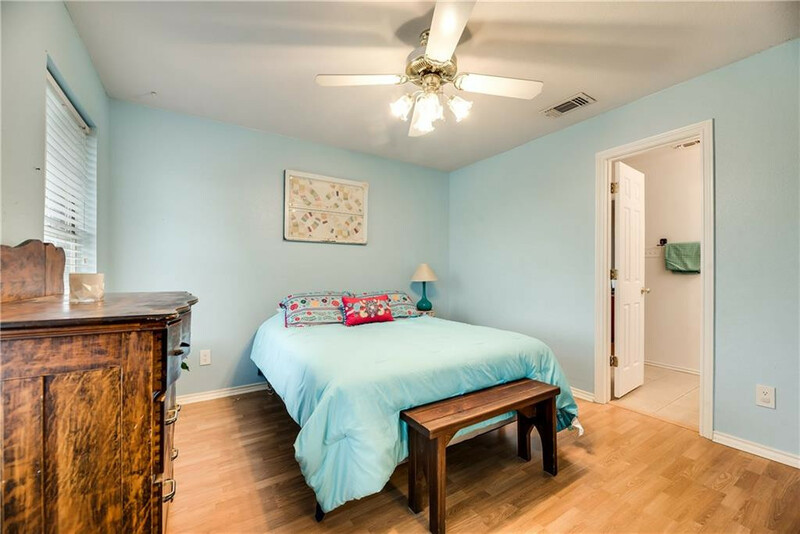 Serene paint colors and updated light fixtures are nice features of the main floor. 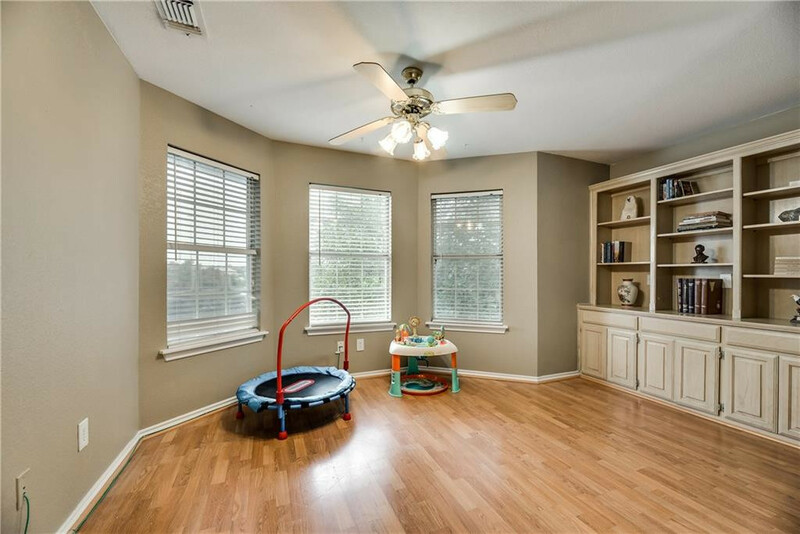 Upstairs is sure to please everyone, offering space in the generous size three bedrooms arranged around the open style loft living area with built-in bookcase and views of the backyard. 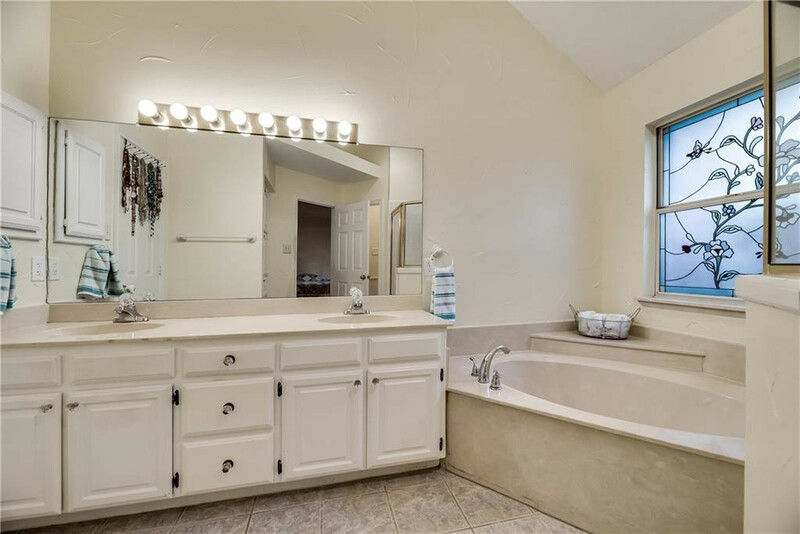 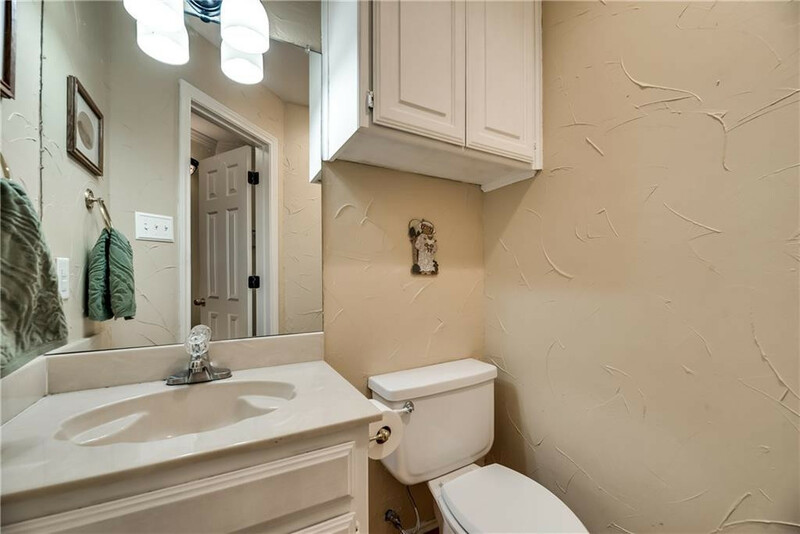 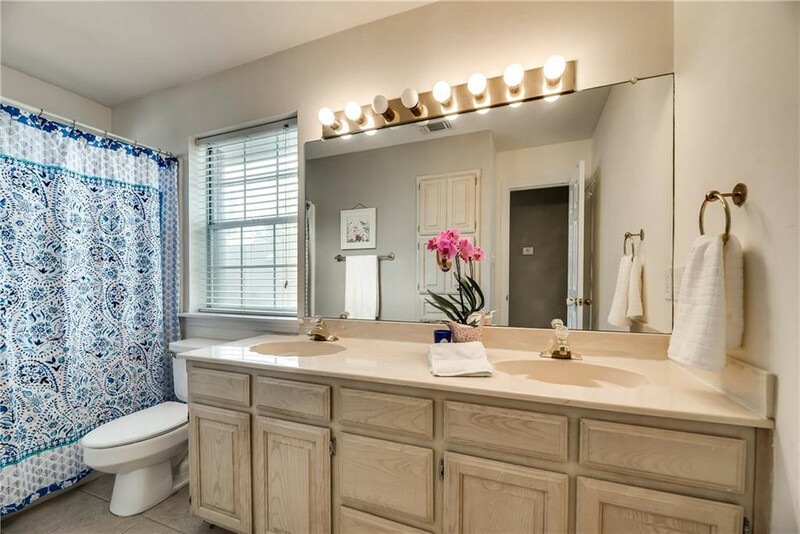 Both of the full bathrooms upstairs have double sinks in the vanity and ample storage, so again, everyone is happy. 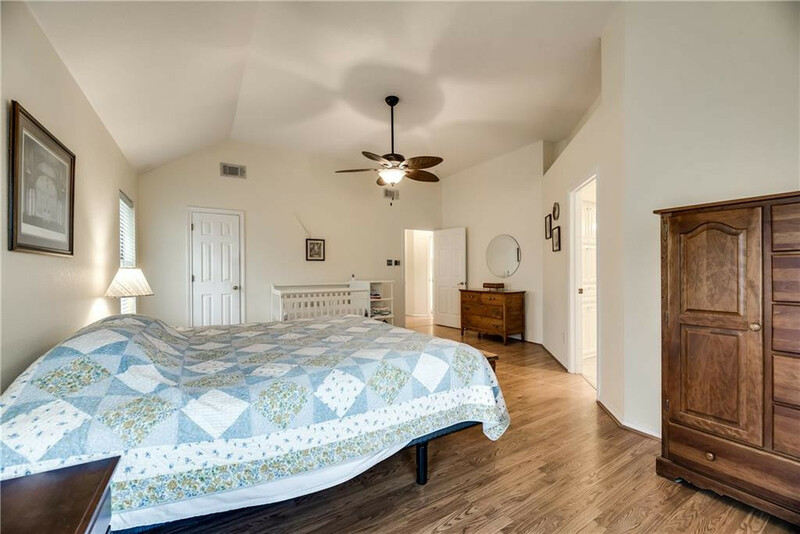 An exceptional oversize Master Suite is ideally on the first floor, a rare find. 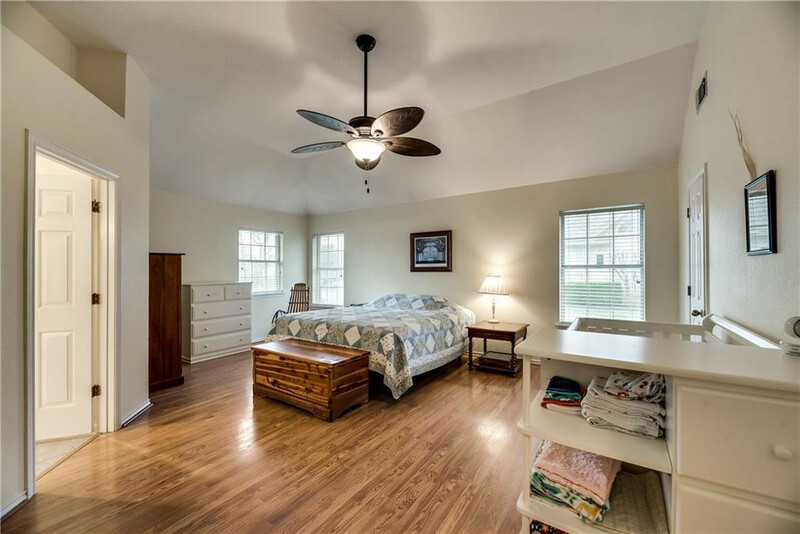 The Master Suite offers two separate walk-in closets, character and natural light. 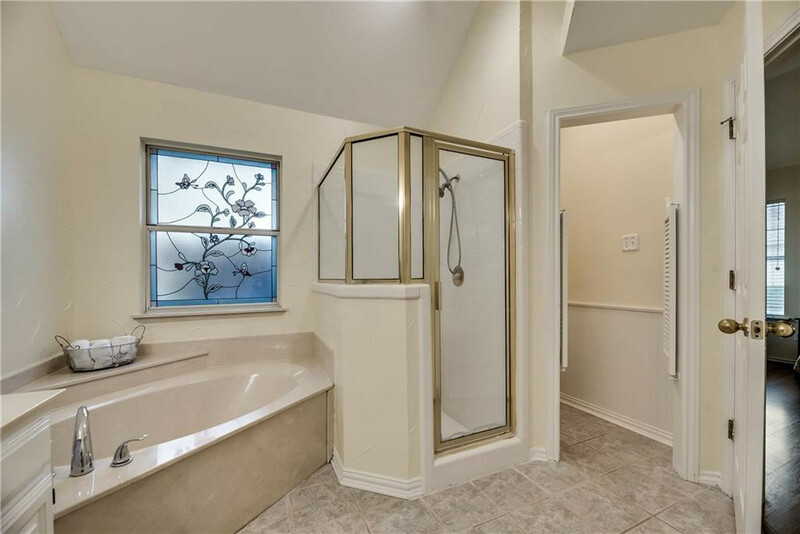 Just the right size bathroom that features a corner soak-in bathtub, separate tile shower and lavatory closet, built-in linen and medicine cabinet. 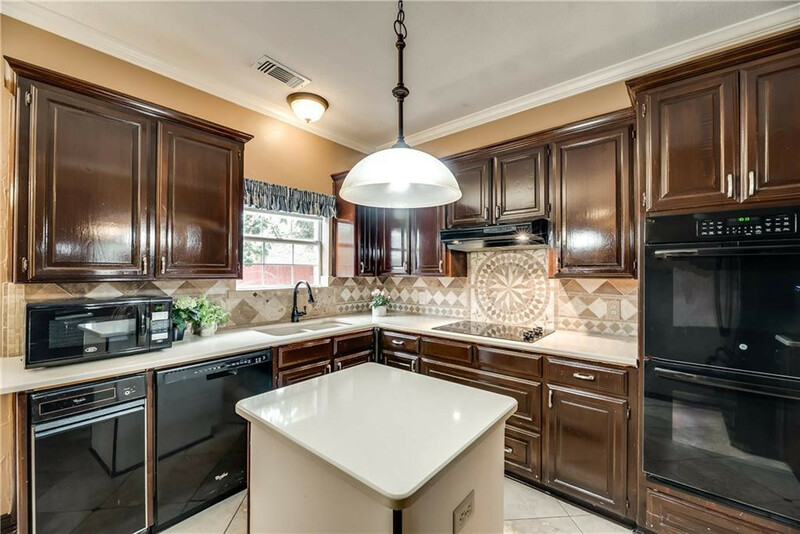 Tumble stone backsplash and ornate mosaic accent, Quartz countertops, sophisticated GE black double wall ovens and dishwasher plus newly installed smooth cooktop, petite island, amiable window over the deep kitchen sink with oil rubbed bronze faucet plus tall cabinets and a deep walk-in shelved pantry. 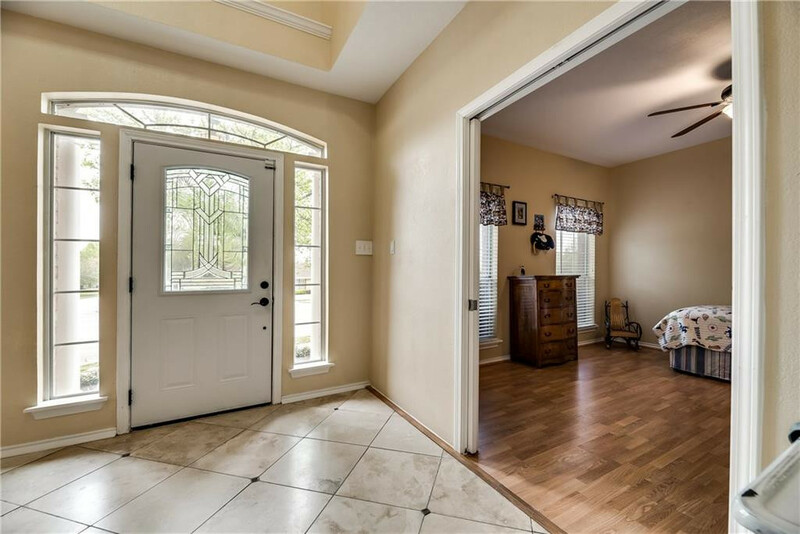 Rear entry two car garage with additional large parking area and electric driveway gate. 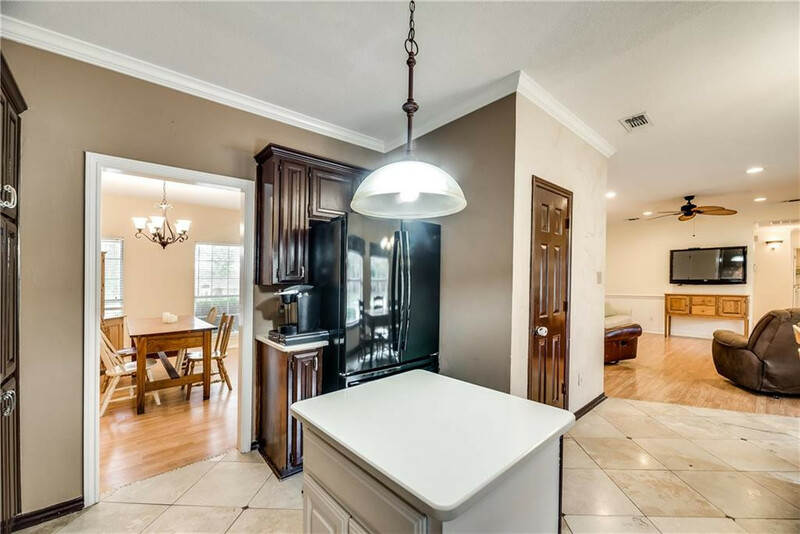 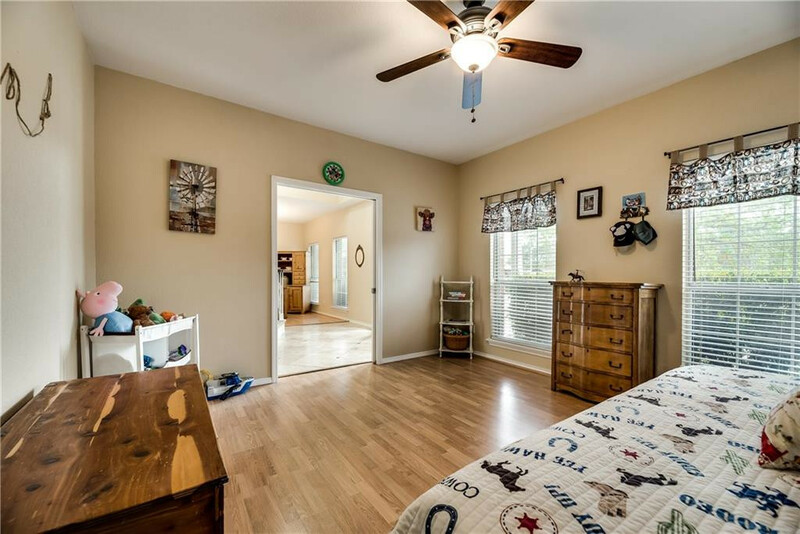 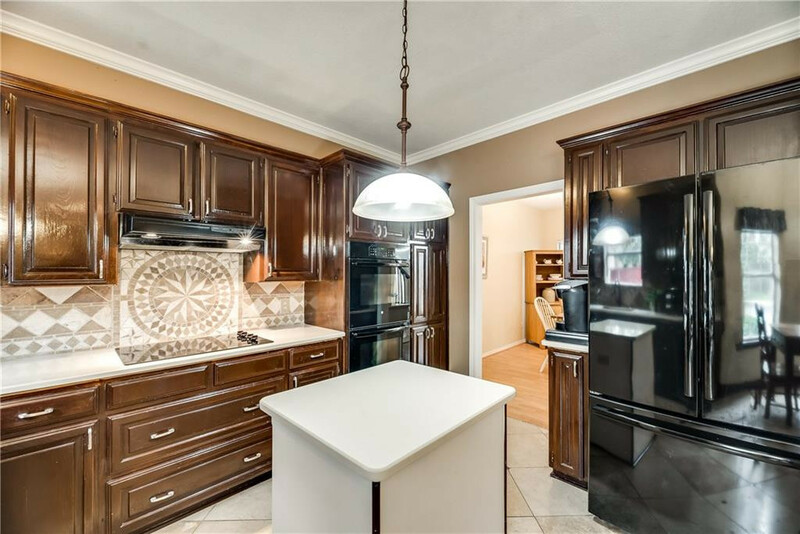 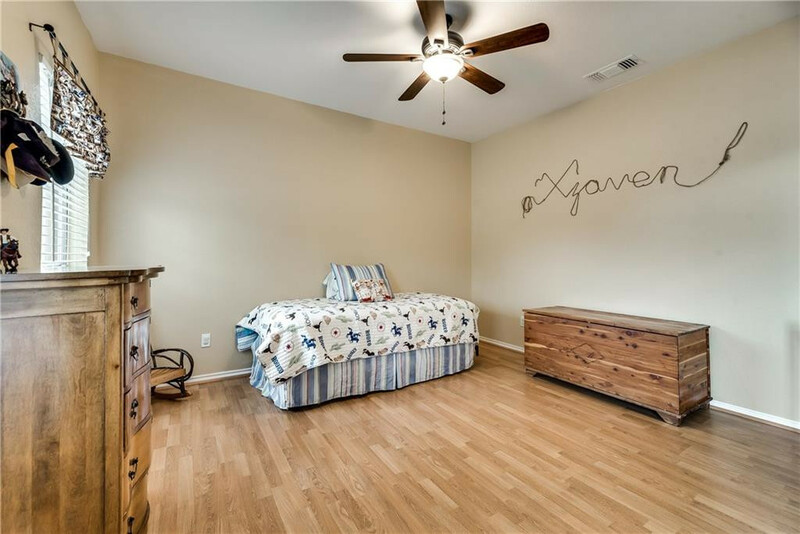 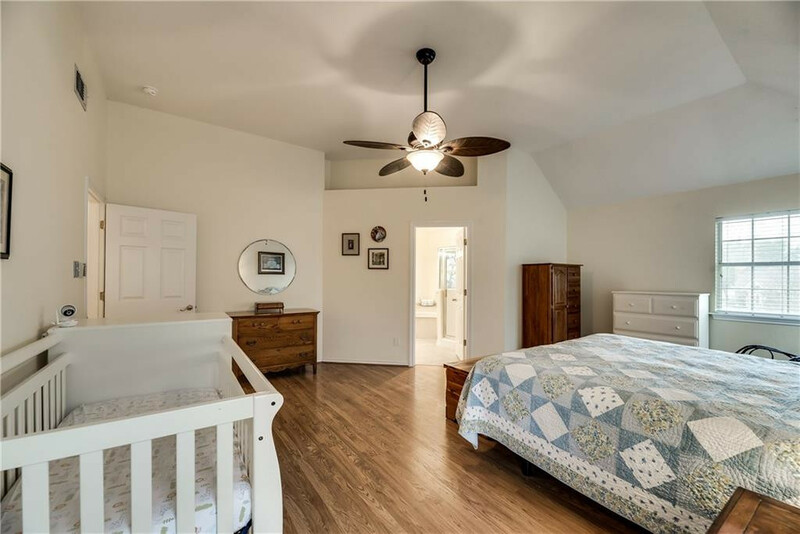 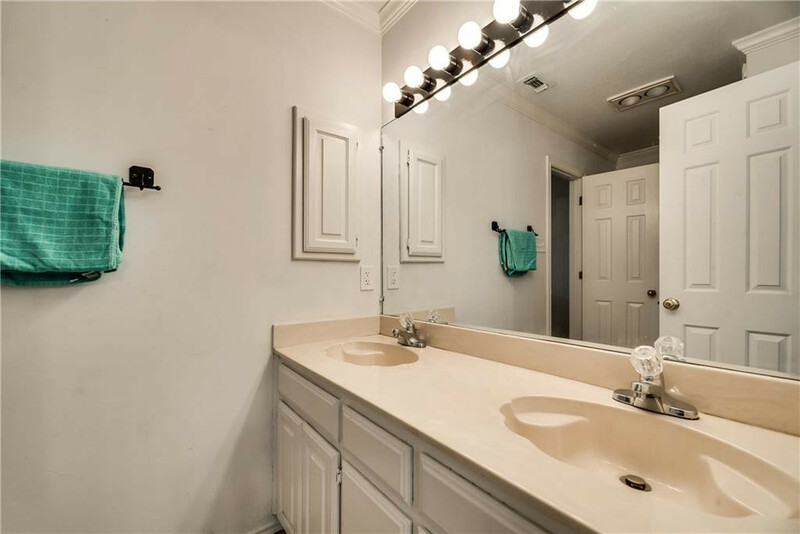 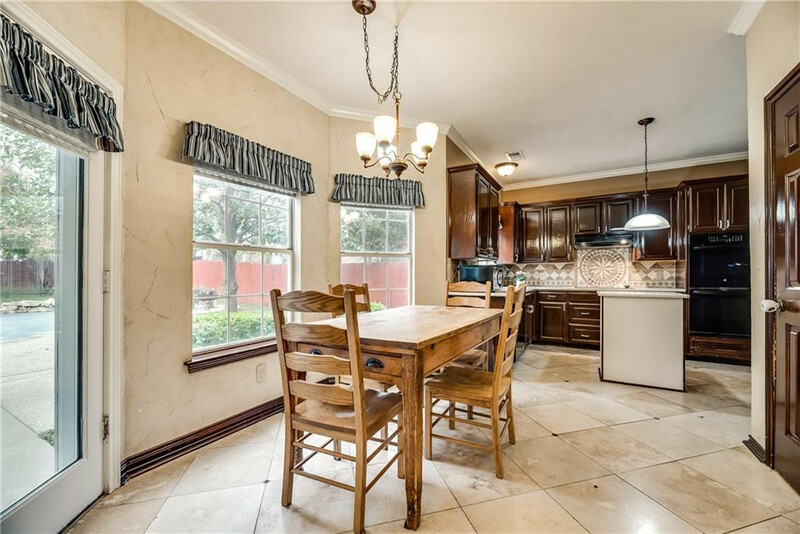 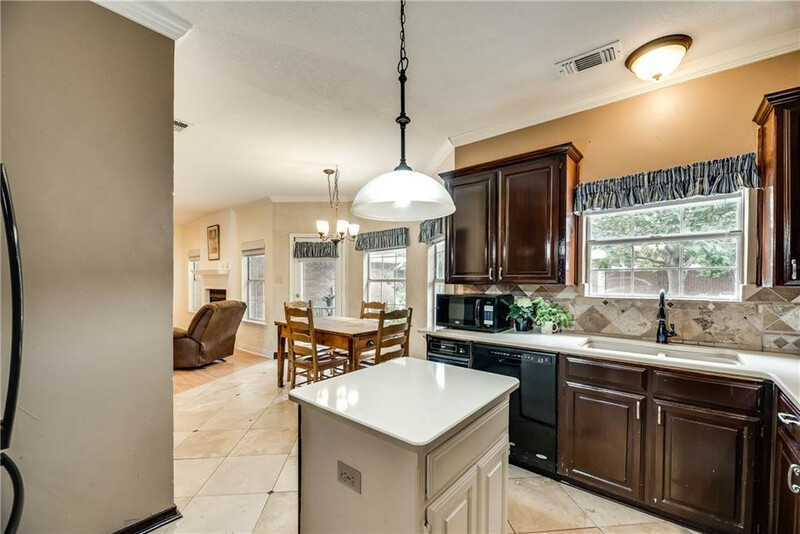 Additionally, a separate full-size laundry room, half bathroom, wood burning fireplace in the living room on the main floor to help illustrate how much 6533 Meadow Lakes Drive has to offer-plus Five Star neighbors!